mBase 27” space gray specially designed for iMac Pro is now shipping! mBase elevates the iMac Pro to eye level, thus reducing strain on eyes, neck and shoulders. 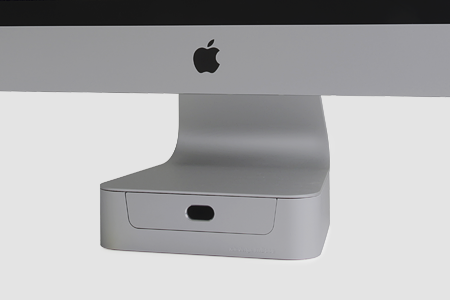 mBase minimalistic stand sits discreetly under your iMac Pro and raises the screen so you can work more comfortably. Its integrated drawer stores away your gadgets neatly and keeps your desk tidy. mBase 27” space gray comes in matching iMac Pro space gray anodized aluminum.